Hospital Beds are used in hospitals, nursing homes or in a home, where patients are cared for during recuperation or rehabilitation. 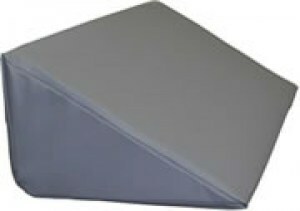 Pressure sore prevention - A hospital bed that has the lateral turning (moving to the left and right) function is of great help in reducing the risk of pressure sore ( bed sore ), particularly in patients who are not able to move by themselves, or who suffer from conditions where turning by hand can cause severe pain or even injury. Caregiver-friendliness - Height adjustment is an indispensable feature of a good hospital bed. When doing chores like feeding and cleaning up the patient, the caregiver will be spared a lot of backache if the hospital bed can be raised to the appropriate height. It will be also be easy for the caregiver to assist the patient to transfer from a hospital bed to a wheelchair if the bed can be lowered to the same height as the wheelchair. Manual or motorised hospital bed - A motorised hospital bed invariably costs more, but provides independence and enables the patient to control the bed functions by himself. Super-low hospital bed - Easier for shorter patients to get down from the bed. Also a good choice when falling from the hospital bed is a concern. Side-rails - A hospital bed with 4-panel side-rails provides good safety barriers without compromising the ease of getting in and out of bed.